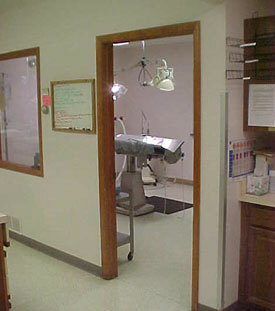 This is the surgical room where Dr. Hutch will operate on Ice. 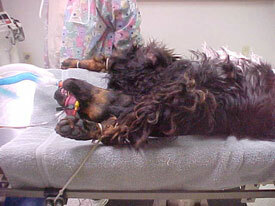 Ice is shown here after being anesthestized for the procedure. 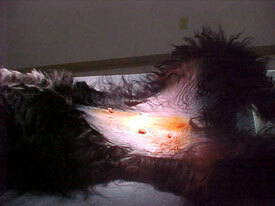 Dr. Hutch's assistant has shaved and prepped Ice for the procedure.